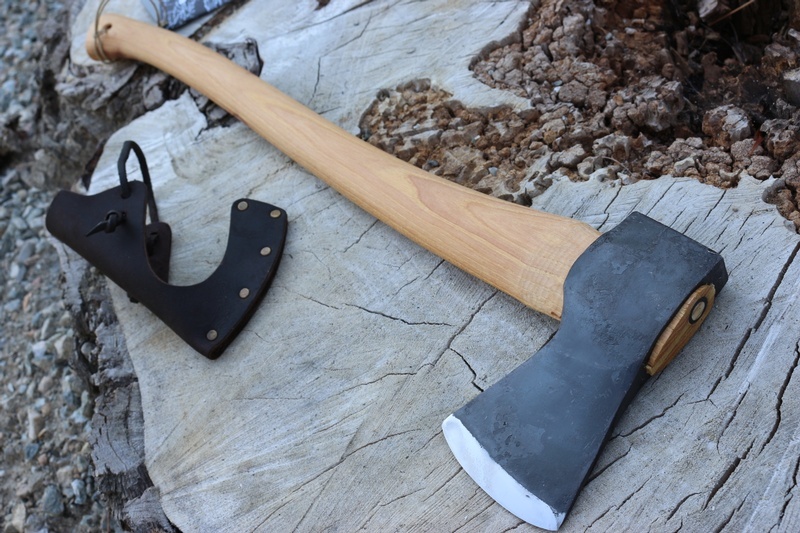 The New Hults Bruks Qvarfot is a very versatile and useful axe. 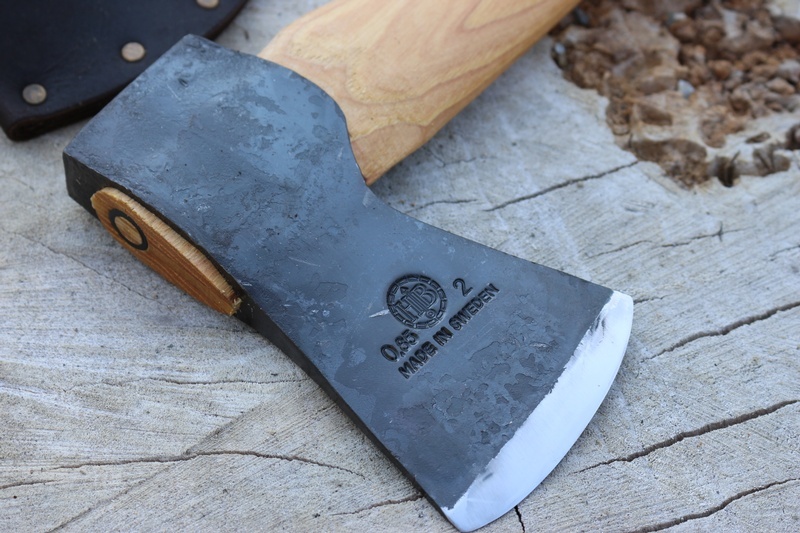 The Classic 2lb Cutting head of Hand forged Swedish High Carbon steel is mounted on a 26in hickory handle and makes for a great light felling axe. 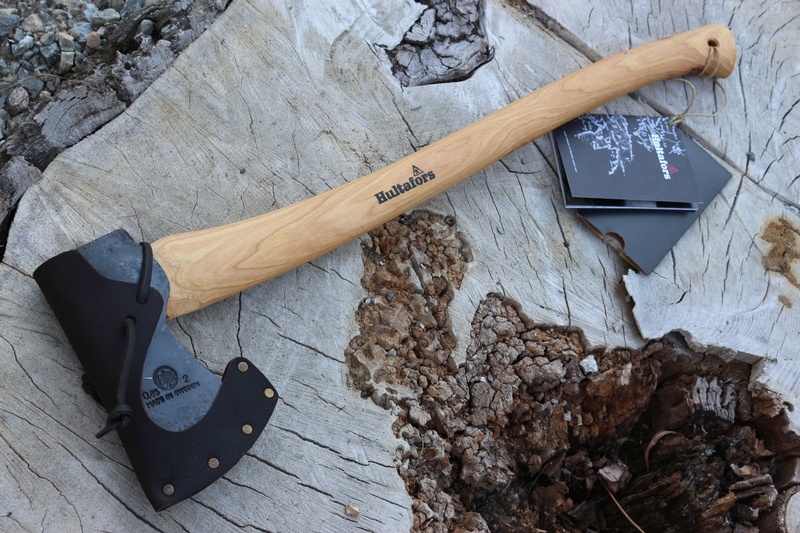 The 26in handle gives the axe increased head speed, and the balance remains excellent making the axe a joy to use. 2lb hand foregd Swedish High Carbon Steel head is deep high ground for cutting performace and the steel is tough and true. Head 2lb Comes with a leather Head cover. 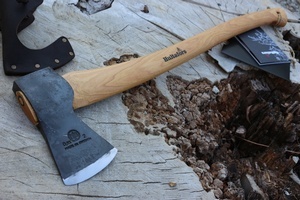 Purchase through PayPal by using the "Add To Cart" button above or use the form below to order the Hultafors Qvarfot Axe . Feel free to contact us if you have any questions about the Hultafors Qvarfot Axe .